Meena Bhasin is a captivating violist who is forging a new role for the classical musician. She is passionate about using music to spark cultural dialogue. In recent seasons, Ms. Bhasin has designed Carnegie Hall residencies in Mumbai and Abu Dhabi collaborating with musicians and students from both cities. 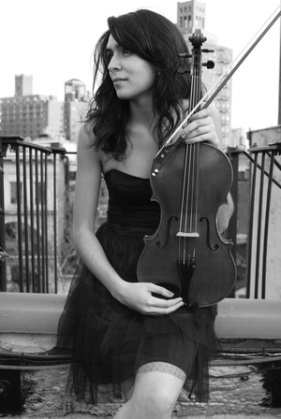 In her home town of New York City, Ms. Bhasin is a member of Lincoln Center’s Mostly Mozart Festival Orchestra, principal violist for Trinity Wall Street’s NOVUS NY, a frequent performer with the Orchestra of St. Luke’s, and a teaching artist for the New York Philharmonic. She also relishes collaborations across genres and has toured the US as a soloist with legendary rock band Jethro Tull and performed Persian music as a soloist with the New York Philharmonic. Ms. Bhasin graduated as a Presser scholar from New England Conservatory and also holds a BA in international relations from Tufts University.